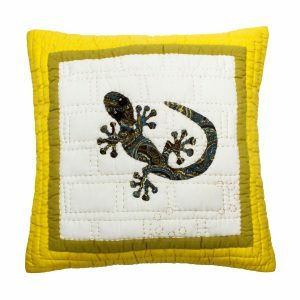 Hand crafted by our women artisans in rural Vietnam and Cambodia, this cushion (insert not included) features a cute and colourful gecko design. This little creature is one of the iconic symbols of SE Asia. 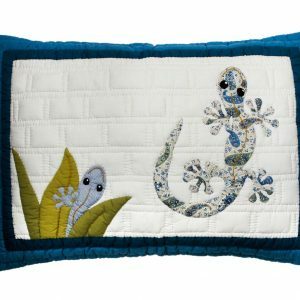 The cushion cover is made with 100% cotton fabric and is highlighted with a hand appliquéd and chain-stitched gecko design in the centre. 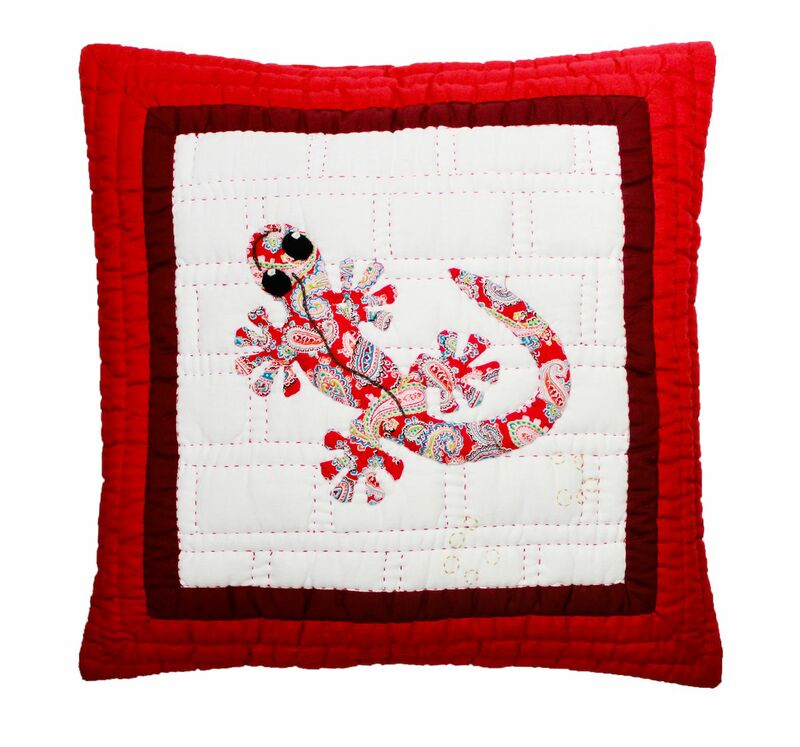 The central appliqué is set on a quilted brick-wall background and framed with a contrasting frame and border. The backing is simply one fabric in a complementary colour. Between the appliquéd layer is a filling of polyester batting for warmth and comfort. 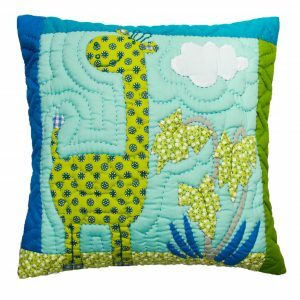 The layers are hand-stitched together in an intricate stitching pattern to prevent shifting and to keep the layers secure for the long life of the cushion. The cushion also features an invisible zip closure. Our pillows and cushions are of the highest quality and easy to look after. Simply machine wash with cold water on a delicate setting with mild laundry detergent, then lay out flat to dry in the shade. It will become softer and cozier with every washing. 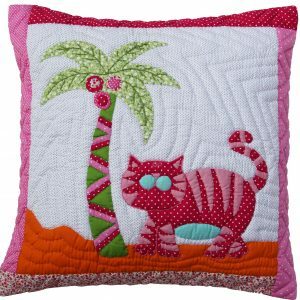 This handcrafted cushion measures 40 x 40 cm and is guaranteed to bring individuality and fun to any home.